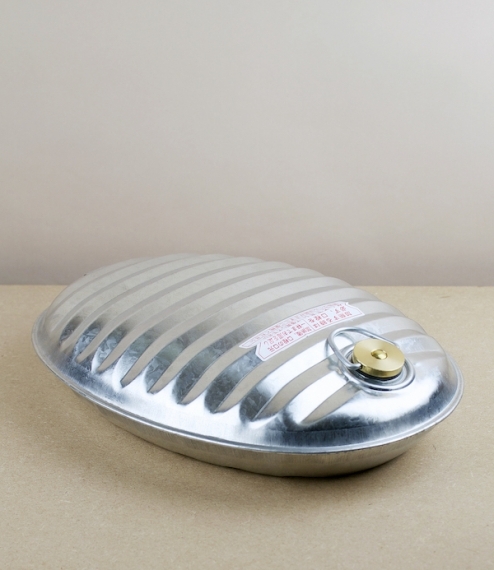 A traditional galvanised steel hot water bottle from Japan. Usually filled with hand (bath?) hot - not boiling - water, wrapped in thick cloth, and placed approximately where the feet might be shortly before bed. In Japan, where despite cold winters central heating is even today something of a rarity, yutanpo like these are considered more a necessity than the luxury we might think in the west. Which perhaps explains their tradition for such substantial, indestructible designs. 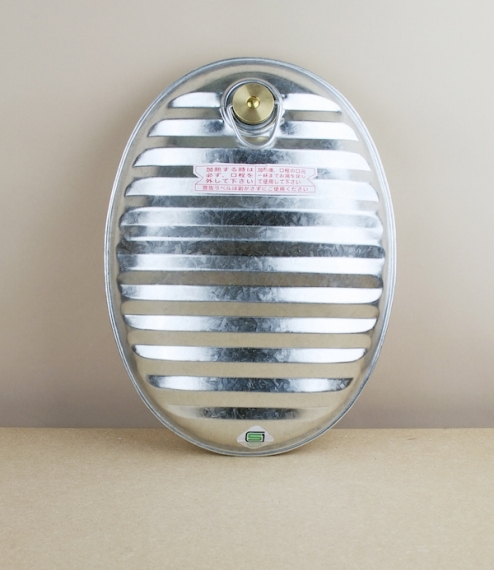 Approximately 30cm x 22cm x 6cm.